Today I’m taking part in Amanda Tero’s blog tour for her new novella, “The Secret Slipper”! I am sharing my review, too, so if you’re interested take a peak at that. :) And definitely stay tuned for the giveaway below! 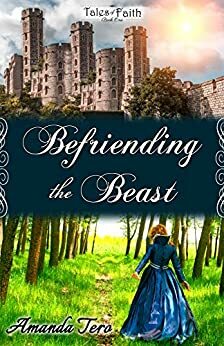 This was a well written story, based on Cinderella – yet with a different twist, just as Miss Tero’s “Befriending the Beast” had. I found this to be a enjoyable read, and liked it quite a lot. The faith-message sprinkled through out was very good, and the Bible verses gave great structure and depth. 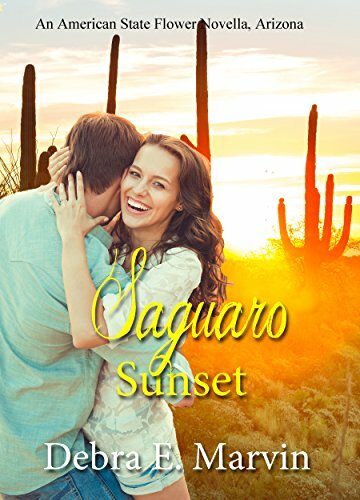 I am normally a fan of sweet romances, yet even without a romantic interest, this story captured my interest and was a very sweet tale, showing the love of family. Fairy-tale retellings have a soft spot for me, and “The Secret Slipper” was indeed a good retelling! I appreciate it being clean and ‘simple’ in all the good ways, yet with faith involved. I would definitely allow my younger sister to read a book like this, without concern. My Orphans of the West series is mostly books about orphans I introduced in previous books in the Hymns of the West or Hymns of the West Novellas series’. But Henry Sullivan isn’t in any of those, so why did I write a book about him? A few reasons, actually. First, the first version of Lily of the Valley had an epilogue that introduced Henry. That made me want to write more, even though I ended up cutting the epilogue. Another reason was because I wanted to write more about Micah, Ruth, and Jeremiah Carson. They were great characters and I didn’t want to leave them where I did. The main reason, though, is because I could really identify with him. Even though I haven’t gone through anything he has, I have struggled many times with anger at how bad people could do so many awful things and get away with it. Learning to let God lead in all circumstances is a difficult, but rewarding experience. Destiny – it’s a word that plagues Maria Morris. What does God want her to do with her life? Should she go to college or does God have other plans for her? When her parents go missing during a business trip, Maria embarks on a quest that will change her life forever. Trying to fight against an overbearing Milky Way Government, Maria travels to earth in search of a lost prince and some crown jewels. Her faith is tested, however, when a new law is passed. Will Maria be able to find her parents and the crown jewels before it’s too late? Is she strong enough to stand up for her faith even if it means never seeing her family again? Most of all, will Maria discover her true Destiny? I’ve had this series waiting on my Kindle for a while, and now that I’ve read the first one, I don’t know what took me so long to start it! Generally I don’t read a lot of sci-fi type books, but this was excellent! Maria was a great and very real character, and it was all written extremely well. And goodness did I love the message of waiting and trusting God for His plan in our lives – that was just fantastic. 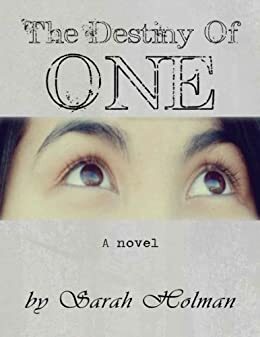 So often we’re told we need to have our lives figured out by 18 years old, which in my opinion is so not old enough to know what we want to do, but in “The Destiny of One” Maria doesn’t know where God wants her, and the best thing? Her whole family supports her in waiting on God to show her. That was a breath of fresh air to me. It doesn’t matter how long the wait may be, it’ll be worth it to follow God’s chosen path for us! If you feel that you’re being pressured to choose your life’s path, read this book and be encouraged. While it may be fiction, it has a great message! This was a very good retelling of the familiar tale, Beauty and the Beast. And like other reviews have said, it was very unique in the fact that the Beast character was portrayed in this story as Belle’s father, instead of a romantic interest. I thought that was very clever, and very well-done! I loved the medieval feel to it – it was rich in that. And the decorative formatting of each chapter was just lovely! I thought that was beautiful. 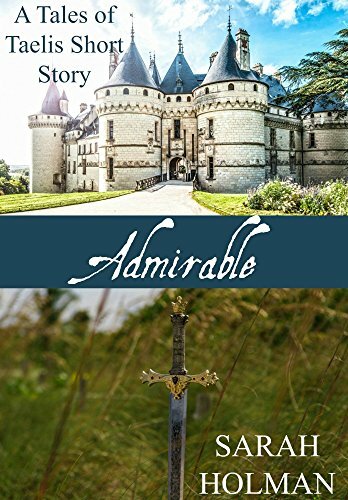 Very good short story that gives us a glimpse of William’s backstory from “Adventures and Adversities”! It was very short making it easy to read in one sitting, but still very well-written and I enjoyed getting to read more about William’s past. The message was very sweet and profitable too – trusting God with our loved ones isn’t always the easiest, but it is very important! I found the middle and end of the book the most engaging, though perhaps a little predictable. Still, I enjoyed the book and am sure fans of Melanie Dickerson will enjoy it as well. I did have some…concerns with this one, but for the most part I enjoyed it. It could be a little slow/long at times, but Lady Magdalen was a sweet character, and Stephen was a good one too. The author does a good job with the setting and making you feel like you’re in the time period, and I do really like that. There was a bit of violent description in this one, a case right in the first chapter that I didn’t care for and wouldn’t advise my 14 year sister to read. I’m not one for scenes of violence described so…thoroughly. I understand the circumstances and necessity of the scene, just don’t think it needs to be so gruesomely described in YA books. Also, there is a strong Catholic theme throughout the book, which I know some love and some don’t, so I want to make sure that I mention that. It isn’t just a “Christian” world view that every religion or belief system can relate to, it is strongly Catholic with penance and working for salvation. This was her first contemporary, and she handled it fantastically in my opinion! 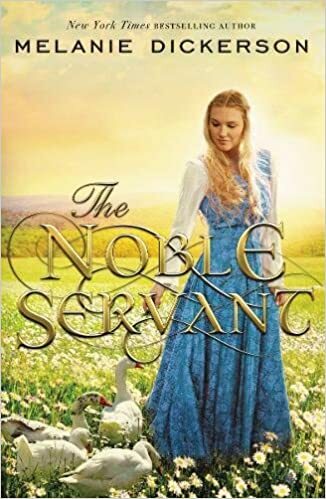 The setting was unique – I don’t think I’ve ever read a book where the character runs (or in this case, helps run) an ice cream food truck! I found that a great setting – one to stand out. And the characters were each well-constructed and you got to know them even in a ‘short’ amount of time of a novella. I enjoyed the splash of faith too.